If you’re trying to find natural alternatives to your favorite hair products, you’re in luck. 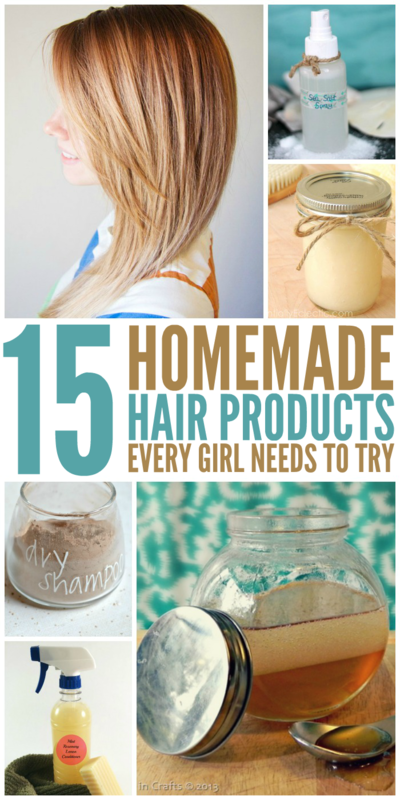 Did you know that you can make everything from shampoo to your own hair gel right at home? 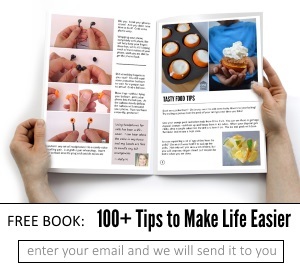 And most of these recipes use only a few ingredients that you probably already have on hand. 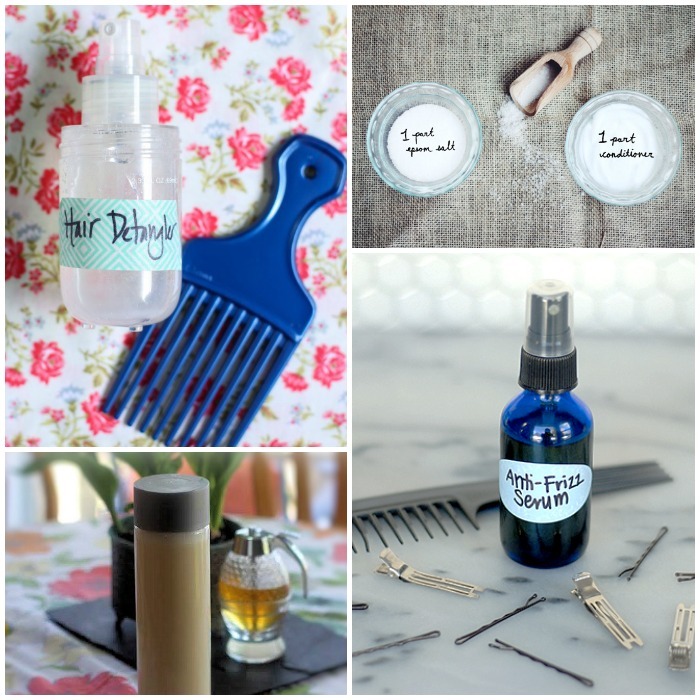 Make some of these diy hair products to see how they stack up against the stuff you buy in stores. We think you’ll be pleasantly surprised! This diy leave-in conditioner works wonderfully as a hair detangler. Perfect for those of you with curly hair! It can’t hurt to try your hand at a homemade shampoo. This one is made with coconut milk, honey, essential oils and other natural ingredients. Or I bet this lemon coconut shampoo smells good enough to eat. Want to have a little fun with the kiddos? 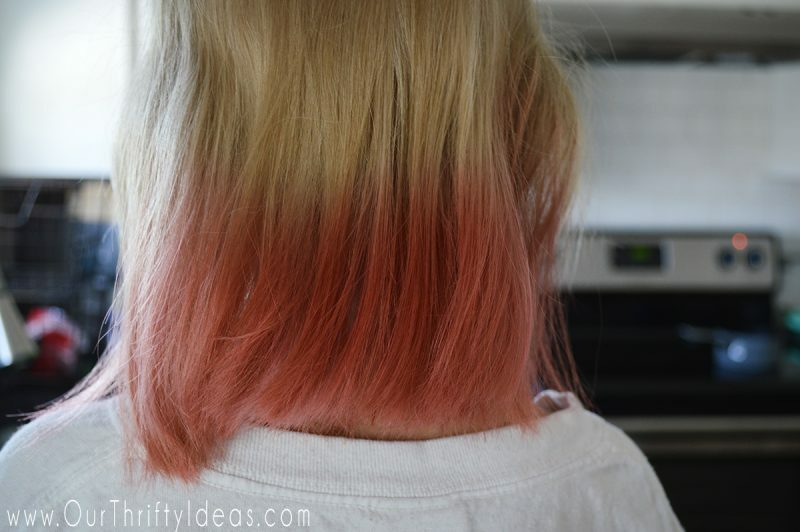 Try a temporary hair color using KOOL-AID! A rosemary hair rinse will leave your hair soft and shiny and your scalp relaxed. Does your hair frizz at the mere mention of humidity? 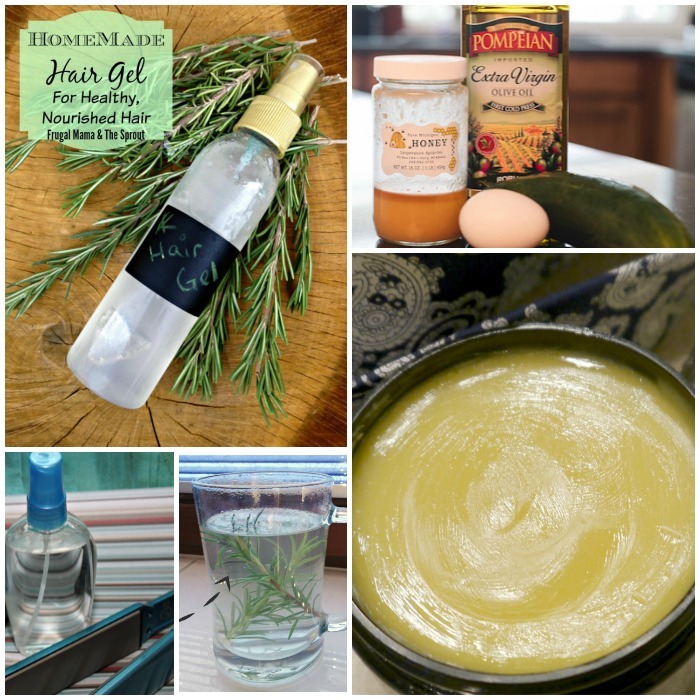 A homemade hair serum can help tame those tresses. My hair gets super dry in the summer, but from now on I’ll do one of these homemade hair masks to keep my long hair soft and manageable during the dry months. A once a week coconut oil treatment can work wonders for your hair. It’ll look healthier in no time. Mint, rosemary and lemon conditioner will leave your hair smelling amazing. You can even make your own hairspray with 4 simple ingredients. Make your own dry shampoo for dark hair for those mornings when you’re short on time and can’t wash your hair. Seriously, it’s a life saver! Get rid of dandruff and remove product buildup with this coconut honey hair mask. Makes a great gift, too! Homemade sea salt spray can help you achieve beach waves no matter what time of year it is. Want to hold those curls in place without making your hair crunchy? Homemade hair gel saves the day! Get thick, voluminous hair with an easy homemade hair volumizer recipe – only two ingredients! Organic hair pomade makes a great hair texturizer. And Don’t Forget your Hairbrush! !